Here is the download link for the Emerald ROM Base. 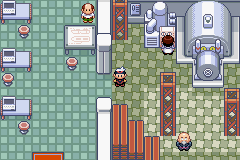 It uses the 1986 - Pokemon Emerald (U) (Trashman) ROM as it's base, so please patch to a clean version of that ROM. Thank you. 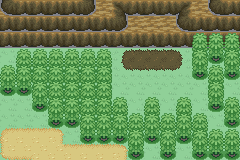 Here is the download link for the Fire Red ROM Base. 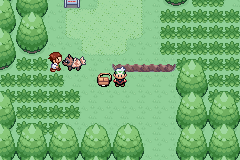 It uses the 1636 - Pokemon Fire Red (U) ROM as it's base, so please patch to a clean version of that ROM. Thank you. This is not a ROM file, btw, it is a patch to apply to said ROM. Here is the download link for the Ruby ROM Base. It uses the 0907 - Pokemon Ruby (v1.0) (U) ROM as it's base, so please patch to a clean version of that ROM. Thank you. Banjora Marxvile added new photos to the album "Euphoria (Emerald) Screenshots"
All credit to the Calis Project, I've always wanted to try them out, and this gave me a good excuse to! Aperso and Ray Maverick like this. Banjora Marxvile added new photos to the album "Serenity (Ruby) Screenshots"
Rizon, Kosciak, Linkandzelda and 1 other person likes this. The first of the trials, This is my Ruby ROM Base, codenamed Serenity due to... Well, I find it nice and tranquil, but also mysterious. Credits are long and numerous, will list under the Info part of The Bobcat Trials. Luigi-San, Kosciak and Linkandzelda like this.